FACT CHECK: Did Clemson's Quarterback Say Their White House Meal Was 'The Best We Ever Had'? A graphic posted on Twitter used Trevor Lawrence's image to lash out at critics of his team's meeting with President Donald Trump. 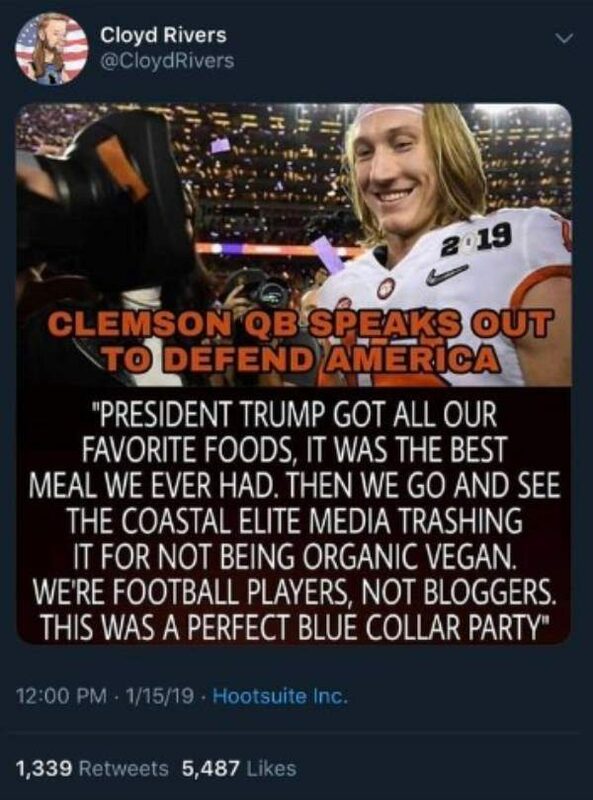 Clemson football quarterback Trevor Lawrence defended the fast food meal his team received at the White House, saying it was "the best meal we ever had." A January 2019 dinner hosted at the White House for the Clemson University football team, winners of the 2019 College Football Playoff National Championship, provided more fodder for someone looking to score cheap points by invoking cultural stereotypes. President Trump got all our favorite foods, it was the best meal we ever had. Then we go and see the coastal elite media trashing it for not being organic vegan. We’re football players, not bloggers. This was a perfect blue collar party. The account that posted the fake quote is no longer available on Twitter. The president was criticized online for serving fast food to the Tigers instead of something prepared by White House staff. 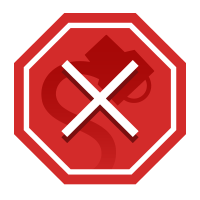 However, the workers who would have made such a meal were furloughed as a result of the partial federal government shutdown that began in December 2018.